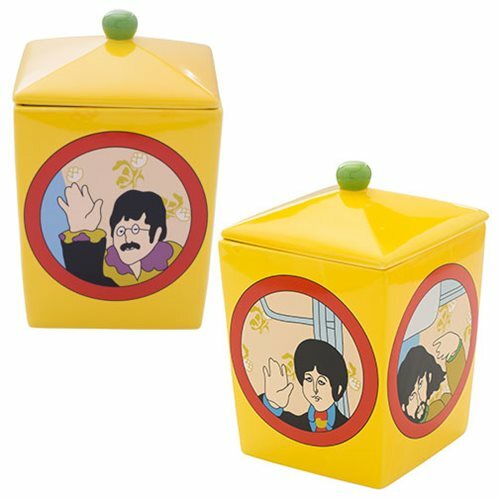 Even if you don't personally live in a yellow submarine, you can reflect on how great it would be with this Beatles cookie jar! Both fun and functional, this ceramic jar comes packaged in full color gift box. The Beatles Yellow Submarine Ceramic cookie Jar measures approximately 7-inches x 7-inches x 10 1/4-inches. Hand wash only. Not dishwasher safe. ages 13 and up.